I was meant to go abroad a while ago, but there was some sort of magnetic pull keeping me here. I say that with a smile on my face, though. Had I not listened to my gut, I would not be getting the experience I’m getting right now. So, as you may or may not know, I’ve recently become the new TEFL facilitator at The Knowledge Workshop. As I sit back in my (newly acquired) black office chair and think back to the 11th of January 2016, I can finally say “120 hours of teacher-training done and dusted.” I’ve spent weeks and days preparing for this eventuality and I’VE DONE IT. The mountains I thought I would need to climb seem more like molehills now, and the deep waters I thought I had to swim, seem more like fun puddles of water that you just want to splash around in. Knowing that I successfully trained 11 teachers, on my own, feels like quite an accomplishment. You know that feeling when you take that new red pen of yours and scratch out that ‘thing’ on your To-Do List? That’s the feeling I have now, that feeling of self-satisfaction, except this feeling is a gazillion times better. I might have moved too quickly here, so let me explain all of this in a bit more detail. 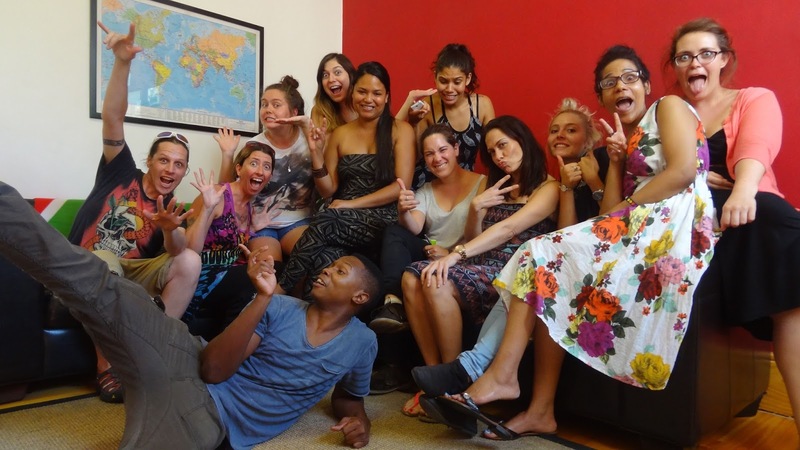 The TEFL course at TKW is honestly one of the best courses that anyone could ever experience. I say this having done the course, having taught it and most importantly, I say this having witnessed countless teachers express their feelings towards it. There is this opinion that if you do the TEFL course at TKW you are going to learn how to teach English to foreigners and that’s it. Of course, learning to teach English is the main objective here, but this course equips you with far more than just the skills needed to teach English. When you do this course, you walk away with skills that you can use in any facet of life. I’ve had TEFLers come up to me and say that they are who they are now because of this course. Those that were shy, now dance to Justin Bieber in a game of Musical Chairs. Those who were not open to new ideas are now able to present dilemmas to groups of foreign students that ultimately get them to question their own thinking. And those who had their creativity stripped from them at some point in their lives are now able to create games and other resources that have students talking about it for days after. This course propels you out of your comfort zone and takes you on a journey both figuratively and literally. The 11th of January 2016 was the first day of my new job. I arrived at TKW about six hours early. The way I picture a machine operating on full-power is what was happening to my mind - and my mouth. I couldn’t shut up. I feel sorry for my colleagues who had to listen to me babble. But I needed to get rid of the butterflies in my stomach somehow. I didn’t completely talk their ears off though. For the remaining four hours or so, I did a dry-run. I basically lectured a class full of…well… no one. It was my way of getting it right – and so I did this almost every day for the next two weeks. Yep, I put myself into an empty classroom and spoke to no one – practicing everything I needed to say that evening. You see, you’re not the only crazy person out there. So, what happens on the theory component of the course? Here, prospective teachers learn how to put together a four-skills lesson plan. Week one deals with what happens in the classroom and the choices that need to be made while teaching, and week two deals with the major methodologies that teachers can make use of in an EFL classroom. We also look to the four linguistic skills and the activities used to allow students to practice with these skills. There are two major lectures on the course which I had to present to the TEFLers. Usually I am quite hard on myself and ruthlessly critique myself, but thinking back to those nights, I really feel that I did a great job. For those who know me, this is not something that I do very often. I don’t really give myself much praise. So please can we have a moment of silence while I pat myself on the back. BTW, don’t let what I’ve just said fool you into thinking that we don’t have fun on the theory component of the course. Believe me; FUN is integral to everyone’s sanity! It’s been a ride, for sure. I’ve been teaching in an EFL classroom for a year, so delivering the course wasn’t something abstract or alien. But a lot of work was still required to get myself ready and prepared regardless. I wanted to make sure that I delivered the best TEFL course imaginable. I guess that’s just part of being a teacher. All in all, I’ve learnt more than I can write in this blog post. I know that the next few courses will enable me to continue learning. I cannot wait to train a few more teachers. I hope you are all ready for me because I am ready for you! (Insert evil laugh). But let me draw the line here for now. I’ll be back soon to share some details about what went down during the practical training weeks as a TEFL facilitator. Until next time!